The president-elect of the National Council of Resistance of Iran (NCRI), Maryam Rajavi, called on European leaders to cut off the financial lifeline to the Islamic Republic of Iran in order to further put pressure on the regime for its eventual downfall. 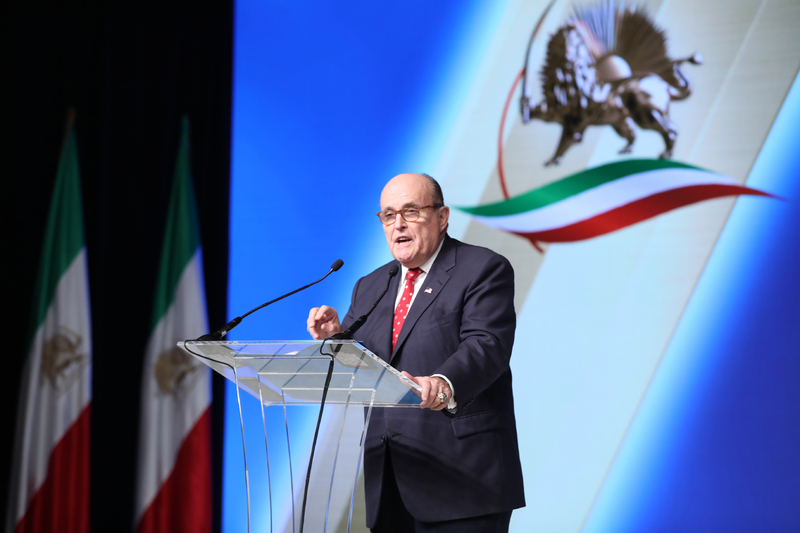 The call for action came Saturday during a video broadcast to the 2018 Iran Uprising Summit held in New York. 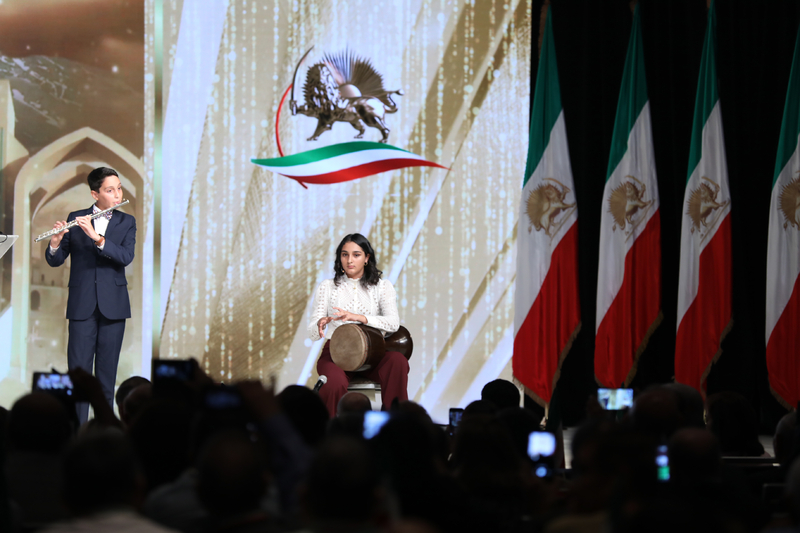 More than 1,700 supporters of the NCRI and the People’s Mujahadeen of Iran (PMOI/MEK) gathered to hear information on the status of the uprisings across their home country and to share ideas on how to push for a new, democratic Iranian republic. 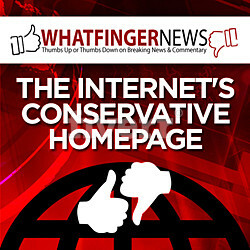 The gathering was headlined by Rudy Giuliani, attorney for President Trump, as well as other dignitaries. She called for Western governments to shut down Iranian embassies due to the use of diplomats to organize and carry out terrorists attacks, such as the attempted bombing of the Free Iran Gathering 2018 which was held in Paris in June of this year. In addition to Mr. Giuliani, speeches were given by Gen. James Jones, former U.S. National Security Advisor under President Obama, the Hon. 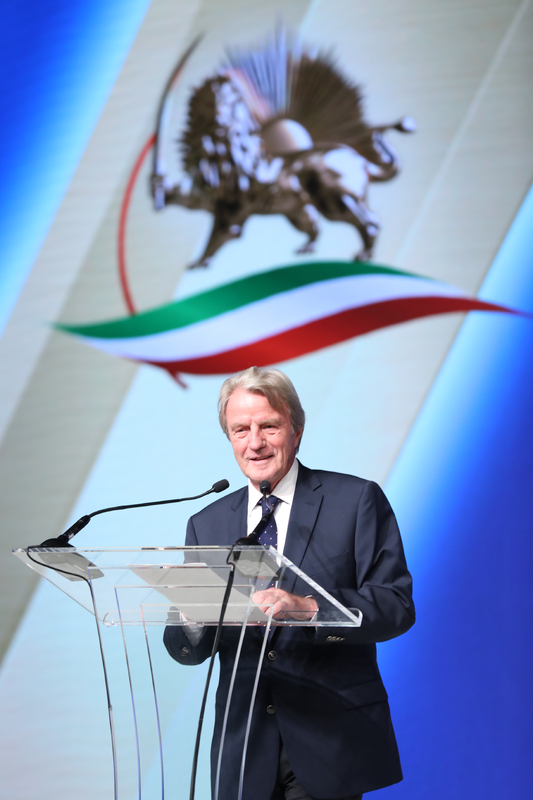 Bernard Kouchner, former French foreign minister, the Hon. Giulio Terzi, former Italian foreign minister, and the Hon. 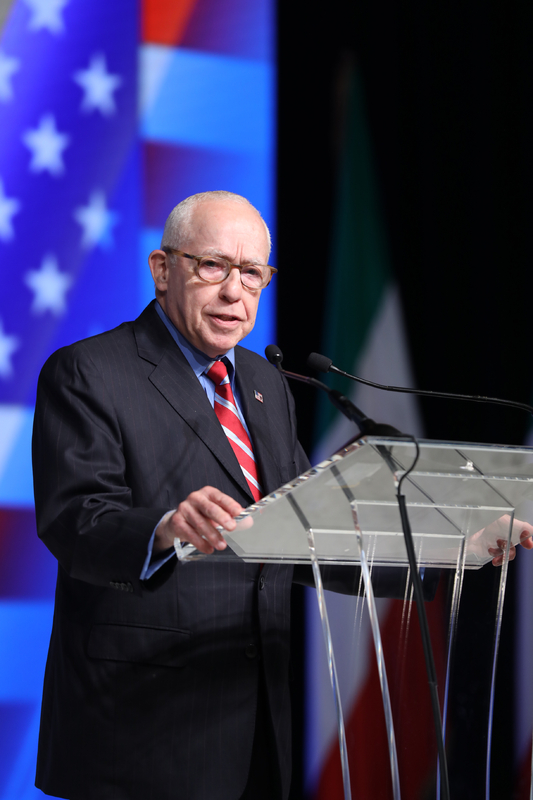 Michael Mukasey, former U.S. attorney general. 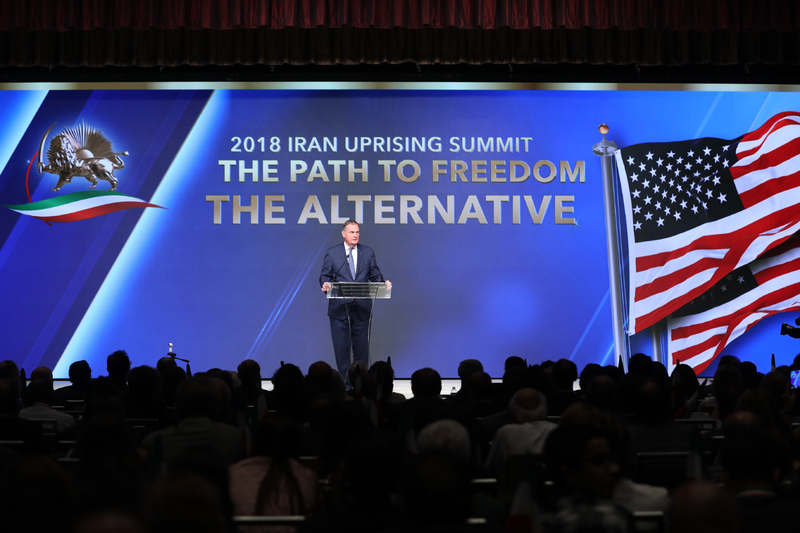 The event began with a heartfelt tribute to the late Sen. John McCain, who was a staunch supporter of the MEK during its difficult times in Iraq, where many were killed by pro-Iranian forces in the region, and the Iraqi government. 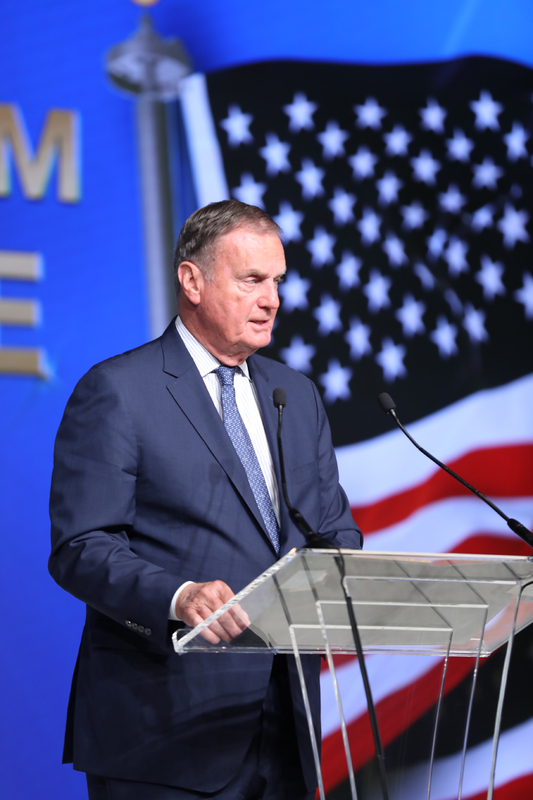 Gen. Jones commented that Iran should never be allowed to acquire nuclear weapons. He called for the support of the Gulf community to push Iran and its militias out of Syria, to reinvigorate the Middle East peace process, and support the Iranian people in their desire for freedom. She received a standing ovation from the raucus crowd.